Decrypted: The SEC filed an action to halt the initial coin offering (ICO) of Centra Tech, Inc., charging that Sohrab Sharma and Rober Farkas, the two co-founders of Centra, orchestrating a fraudulent initial coin offering (ICO) that raise funds from investors through the sale of unregistered securities. Publicly promoted by former professional boxer Floyd Mayweather, the Centra ICO raised over $32 million from investors worldwide. Sharma and Farkas allegedly claimed that funds raised in the ICO would help build a suite of financial products. They claimed, for example, to offer a debit card backed by Visa and Mastercard that would allow users to instantly convert hard-to-spend cryptocurrencies into U.S. dollars or other legal tender,” the SEC complaint outlines. Binance already announced plans to delist CTR from its platform. Our take: Despite Bitcoin’s dropping prices, public enthusiasm for cryptocurrencies, blockchain and ICOs is high, continuing to attract investors. 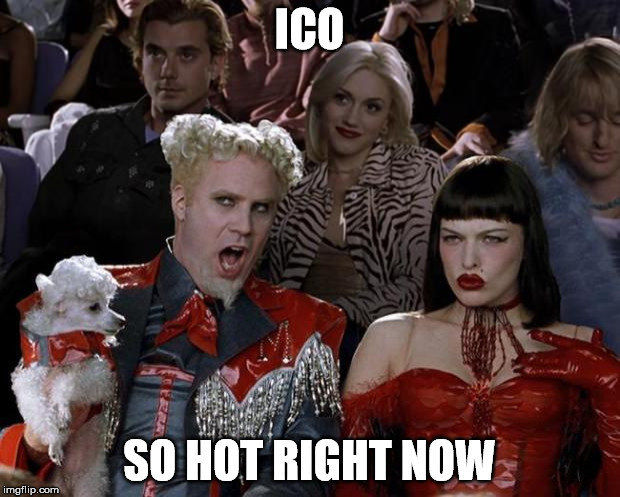 ICOs continue to rake in the big bucks. Three months into 2018, $4.8 billion in funding has already been raised through various token sales. Over the last year, cryptocurrencies have been a focus of the SEC and other regulatory authorities around the world, cautioning investors about the risks involved. Earlier in March, the SEC issued dozens of subpoenas and information requests from technology companies and advisors involved in new cryptocurrency schemes. A couple of months ago, the SEC filed charges against AriseBank, another Initial Coin Offering, arguing that not only violated securities regulations but also made false statements to investors. The charges, which the SEC filed against the Texas-based AriseBank on Jan. 25, allege that the firm and its co-founders, Jared Rice Sr. and Stanley Ford, sold unregistered securities and engaged in fraudulent conduct to market its decentralized bank. AriseBank indicated in a press release that the ICO had raised at least $600 million of a $1 billion target. The AriseBank ICO had been endorsed by boxing legend Evander Holyfield, once again raised questions about whether celebrity ICO promoters could be charged in connection with suits against ICO operators. Before that, the SEC halted an ICO by Munchee Inc. in December, a California-based company selling digital tokens to investors to raise capital for its blockchain-based food review service, before any tokens were delivered and refund investors. It appears that Centra didn’t just conduct an unregistered ICO, but also may mislead investors by announcing untrue partnerships with Visa and other companies. The ICO also used celebrities to endorse their product including Floyd Mayweather. Is anyone really surprised that an ICO endorsed by both Floyd Mayweather and DJ Khaled turned out to be scam? In recent months, celebrities such as actors Jamie Foxx and William Shatner, boxing champ Floyd Mayweather, Jr., and hotel heiress Paris Hilton, among others, have publicly endorsed several projects ahead of their respective token sales. Consumers who don’t know any better, think their favorite stars are getting rich, so they jump in with the hope of getting rich by also investing. People like John McAfee are getting paid $105,000 for each tweet to promote an ICO. I know of a case where he asked for 25% of the token sale proceeds, paid on a daily basis. Can you really trust someone that is getting paid to promote an ICO to other people? The fact that a bunch of different us regulatory authorities are cracking down on ICOs and putting some some rules and regulations is a good thing. While ICOs allow genuine blockchain-related projects to raise funding without the need for IPOs or angel investment, fraudulent schemes are also rampant. Despite regulatory efforts to raise the ante in clamping down on ICO scams and other securities abuses, these are unlikely to be the last we will see. A lot of times we lose sight of the fact that incredible innovation is happening in this space. The idea to pre-sell coins can serve a real purpose to diversify access to technology and allow other people to participate in wealth creation, they normally wouldn’t be able to in the past. But the space needs to be cleaned up. Decrypted: Chainalysis, a blockchain surveillance company recently announced it has raised $16 million in a Series A funding round from the firm Benchmark. Founded in 2014, Chainalysis provides cryptocurrency exchanges, international law enforcement agencies, and other clients with Bitcoin transaction analysis software to help them comply with regulations, assess risk and identify illicit activity. The company helped investigate the Mt. Gox bankruptcy case. With the new funding, Chainalysis will be stretching its monitoring software efforts towards the Bitcoin Cash and plans by the year-end to cover ten different public blockchains. Our take: With the Bitcoin and cryptocurrencies exploding, one thing is clear: Bitcoin surveillance is booming. Governments are just barely coming to terms with how Bitcoin works, but they want track cryptocurrency transactions that were designed for anonymity. Cryptocurrencies have actually led to a massive cat and mouse game with law enforcement, as agencies get better at identifying criminal behavior, while criminals come up with new evasion techniques and increasingly anonymous cryptocurrencies in order to defeat the efforts of law enforcement. In fact, four primary areas of criminal activity lend themselves to cryptocurrency: tax evasion, money laundering, contraband transactions, and extortion – not to mention the theft of cryptocurrency itself, which is all too easy with Bitcoin. This creates a challenge for legitimate companies that accept Bitcoin. Since most of the technology for blockchain is used and controlled by machines, it’s difficult to make sense of what is happening. Bitcoin isn’t untraceable, every transaction is recorded on blockchain, but the digital wallets that carry out transactions are anonymous, making it extremely difficult to actually make sense of the data. All this makes banks reluctant to embrace Bitcoin and serve the sector because of its association with illegal activities. For example if they take a Bitcoin that’s just been earned selling drugs, or that has passed through a known money-laundering service, they could end up in huge trouble with regulators. Bitcoin surveillance may potentially produce a huge benefit that helps merchants, that receive Bitcoin, to get or keep accounts with traditional financial institutions. If banks could demonstrate that their merchant clients aren’t moving dirty money, they might get their regulators comfortable with the industry. Also governments are interested tracking the flow of funds on the blockchain to determine whether merchants that accept Bitcoin are reporting it and paying proper taxes. These days there are many startups and private investigators dedicated to helping global law enforcement and private businesses track bitcoin transactions. Companies have popped up to help regulators and government organizations identify suspects who use Bitcoin. Elliptic is a company in this space. Its a United Kingdom-based financial technology startup that was launched with one basic goal: to trace Bitcoins, identify illegal activity and sell ongoing visibility to governments and private companies to track the currency’s movement. BlockSeer, that was recently acquired by DMG Blockchain Solutions Inc., is a visual tool for tracking and analyzing transactions on the Bitcoin blockchain. Blockseer’s software determines the validity of the party someone is transacting with, whether its a business or an individual. What makes BlockSeer so special is the fact that it adds a layer of visual representation on top of a regular blockchain explorer. Blockseer visualizes the bitcoin transaction graph, labels and clusters addresses, explores address and cluster details, and saves and shares graphs with others. In February, Bitfury introduced Crystal, a set of software tools to help track illicit activity on bitcoin’s public ledger. The platform is an attempt to help Bitcoin move past its association with black market transactions. Crystal will enable users to see if a Bitcoin address that you’re getting money from is green or black. Also the U.S National Security Agency has been secretly monitoring the Bitcoin blockchain for over five years now, with an eye on identifying users on the distributed network. This is according to classified documents that were released by the infamous U.S whistleblower, Edward Snowden. The NSA has been monitoring the internet activities of Bitcoin users since 2013 through a program with codename as OAKSTAR. As a result of the program, the NSA collected a significant amount of Bitcoin user data, including passwords, browser history, and even MAC address of their devices. All this information was enough to identify the users of specific Bitcoin wallets. While every Bitcoin transaction is recorded on the blockchain, there are ways to confuse investigators, using so-called mixing services, which take Bitcoins from many users and mix them up before sending them back out to different addresses at different times. Also, some newer cryptocurrencies, Zcash and Monero, are designed to conceal the information that Chainalysis, BlockSeer, and others use to follow the money. It’s a cycle with no foreseeable end. As Bitcoin becomes more popular, so will the interest by governments and banks interested in sophisticated and better crypto tracking technology. As Bitcoin’s inherent transparency becomes more obvious, some people become increasingly interested alternative coins that fix the transparency problem. Ultimately I think the challenge will be for any cryptocurrency surveillance platform to keep up with the variations on cryptocurrencies, with a particular emphasis on the challenges posed by those that appear designed for anonymity. Decrypted: Cryptocurrencies are vulnerable. In July 2017, one of the five largest Bitcoin and Ethereum exchanges were hacked, resulting in the theft of user information, as well as hundreds of millions of Korean Won. The potential of Bitcoin and other cryptocurrencies is vast, however, it is becoming constrained by cybercrime, as well as missing passwords, which can render coins irretrievable. In fact, as many as 3.79 million Bitcoins are estimated as lost forever, that’s nearly 23 per cent of all Bitcoins in circulation, which is around to $25 billion at the current price. Everyone dislikes text-based passwords, which are often forgotten, hacked, duplicated, and mis-used. Relying on text passwords alone, we’re certain to be reading a steady stream of news reports about how many people are having all their money lost or stolen. While hackers keep getting smarter, average users are actually more careless than ever before. People struggle to remember their passwords and some even lose their accounts, and all their money along with them. But researchers agree that biometric authentication achieves a higher level of security. Biometric authentication is used in computer science as a form of identification and access control. Biometric authentication is simply the process of verifying your identity using your measurements or other unique characteristics of your body, then logging you in a service, an app, or a device. Our take: Biometric authentication is gaining wide-spread popularity in recent years due to the advances in sensor technologies as well as improvements in the matching algorithms that make the systems both secure and cost-effective. Biometric authentication systems seem to have a bright future. Although no cryptocurrency is using lip patterns, palm patterns and heart rate analysis as methods of authentication, we have working inventions in the areas of iris scanning, several in facial scanning and several others in finger scanning. Biometric authentication works by comparing two sets of data: the first one is preset by the owner of the device, while the second one belongs to a device visitor. If the two data are nearly identical, the device knows that “visitor” and “owner” are one and the same, and gives access to the person. A recent study has found that consumers are aware of, and are favorably disposed to, authentication methods that don’t include traditional passwords. Sponsored by Visa and conducted by AYTM Market Research, the survey of 1,000 U.S. consumers revealed that biometric authentication methods top the list of preferred password alternatives. While gaining in popularity, biometric factors aren’t as secure as they seem. In 2014, the BBC reported a politician’s fingerprint was cloned using images from a press conference. Unlike passwords, biometric factors are unchangeable. Once a thief has your biometric data, it can be used anywhere. You cannot change your fingerprint, retina, or facial structure. And when it’s compromised, it’s compromised forever. We are seeing all kinds of wallets and exchanges increasing security measures to ensure the safety of customers funds. Late last year the new AML BitCoin, biometrics-based cryptocurrency became available for purchase. It was created by NAC Foundation, which says it’s the first cryptocurrency to comply with Know Your Customer and Anti-Money Laundering requirements including those laid out in The PATRIOT Act. That’s largely thanks to its use of biometric identification of end users, who must confirm their identities to be approved for an AML BitCoin digital wallet. A user must declare their residence, present two pieces of government-issued identification, and submit to either a fingerprint, face, or iris scan in order to get certified. From there, biometric authentication will be required each time the users accesses the AML BitCoin mobile wallet. User authentication and security for cryptocurrency wallets and exchanges is a growing market, with Jumio, Penta Security, and Hilltop Cybersecurity all announcing new developments that integrate biometrics in March. Coinone, a popular South Korean bitcoin and cryptocurrency exchange has announced the release of the iOS version of its exchange application. The most important innovation of the app supports biometric account functions including Face ID and Touch ID, thus greatly enhancing user security. The decentralized nature of blockchain technology could potentially protect financial systems from cyber attacks because hackers would need to breach all the nodes of the network before they can access the system to perpetrate their heist. Digital ID managed on the blockchain in combination with an extra layer of biometrics to the authentication process could potentially create an impregnable line of defense against hackers.